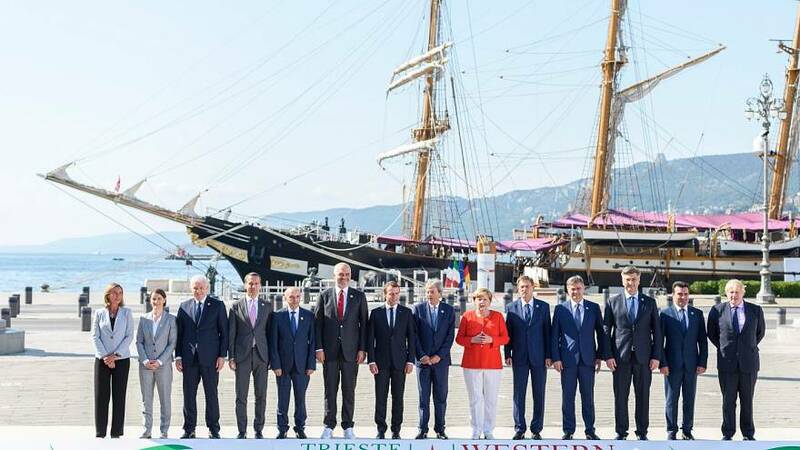 Leaders from six western Balkan countries have agreed to form a common regional economic area at a summit in Trieste. It’s been proposed by the European Union as an extension of the already existing Central European Free Trade Agreement (CEFTA), which is stepping stone towards full membership for the six countries of the region who are not yet members of the bloc. The countries at varying points along the path towards full EU membership are Albania, Bosnia-Herzegovina, Kosovo, Former Yugoslavian Republic of Macedonia, Montenegro and Serbia. “For Serbia the enlargement stays our strategic priority. It is one of our key focuses and for us within…, for our European accession regional stability is obviously a key part of it. So we are very happy to be part of the Berlin Process,” stressed Serbian PM Ana Brnabic. The Berlin process began with a summit in 2014 and is linked to the future enlargement of the block. It’s sentiment still strong despite the advent of Brexit. But once again latest gathering in Trieste brought promises of accession but no firm timetable.